I've passed by this place hundreds of times but never stopped in even though I love sushi. After finding out that an event we were going to go to was actually in the diary by mistake (bad A!) we had to quickly come up with an alternative plan, so I seized the opportunity to try it out. We had a sushi set - salmon roll, shrimp tempura roll, and then five pieces of assorted nigiri. Sadly the tempura was quite mushy - as if it had sat out too long - and while everything else was okay, it didn't really inspire me to order anything else. 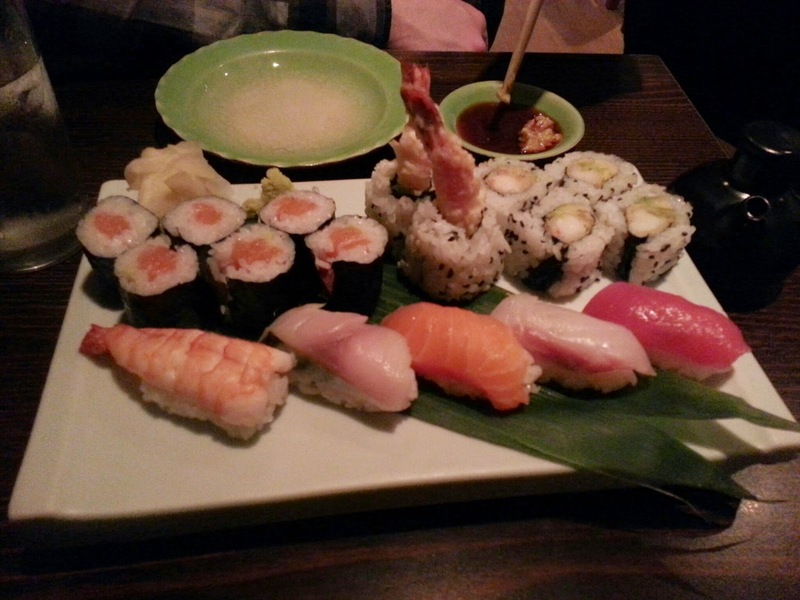 I should note that a few weeks later I went to a birthday party and there was a large tray of sushi from Sasa Sushi that was very good - so not sure if we just got a slightly off meal there or not, but I'm not in a big hurry to return.